Bhubaneswar has submitted a proposal to the Centre in order to achieve considerable targets for using the electric vehicles as public transport alternatives and ensure cleaner and greener environment. 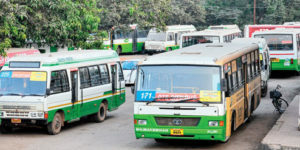 The proposal costing Rs 219.75 crores was submitted to the Centre recently by Bhubaneswar – Puri Transport Services – BPTS, a State government owned agency which is managing the city bus services in the capital region. BPTS has given a proposal to include electric buses, four-wheelers, three-wheelers and two-wheelers to use the system through the various charging points, which would be in place, in phases. The proposal was submitted to the Department of Heavy Industries, which has sought expression of interests from million plus cities to adopt the e-mobility plan and lessen the environmental burden. Through strategic investments in public transit infrastructure and last mile connectivity modes, the Temple City is aiming to induce a shift by 20 percent travel to public transport by 2021. As per its bus modernisation plan, 32 km of Priority Transit Corridors will require 92 new electric buses to move 192,000 daily passengers. For first-last mile connectivity within its area based development (ABD) of the Smart City Proposal, the city proposes deployment of 500 e-rickshaws, allied infrastructure and charging stations by 2021. These two project proposals combined will act as a catalyst to help Bhubaneswar achieve its target of 30 per cent of vehicle travel in the city through electric vehicles by 2030, the proposal has mentioned. With an intent to become transit oriented and eco-city, the city governance endeavors to strengthen the city bus service, bring new legal framework for compact urban form, move towards cleaner technologies to minimise carbon footprint. The city aims to be a model of low-impact carbon neutral development using innovations in transportation and green infrastructure. Sources in BMC said that the city authorities would go ahead with the e-mobility plan, once the proposal gets the approval from the Centre.